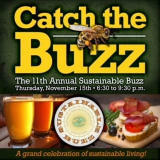 The Sustainable Buzz is celebrating 11 years of sustainability at the Straz Center on the Riverwalk. This grand celebration of sustainable living will feature food from dozens of local restaurants, craft beers, fine wines and spirits, and live entertainment. 5 16 Nov 2018 Andrea Cheney President at Ms.
Tampa Marriott Waterside Hotel ..
AC Hotel by Marriott Tampa Airp..